Market Growth stage though we are still looking for financial support to help us purchase improved machinery, increase production space . Registered as aFor-Profit in Uganda. 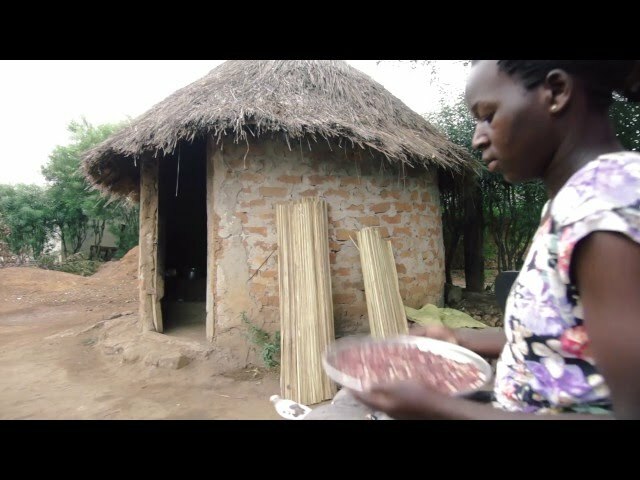 95% of population in Uganda depends on firewood and wood charcoal as energy for cooking .This has increased the rate of cutting down trees leaving most parts of the country bear and very vulnerable to climate change. Apart from indoor air pollution , the use of fire wood has negative impact on women and girls who walk long distances collecting firewood. AEST produces smokeless briquettes as alternative fuel from agricultural waste and more efficient cook stoves as clean cooking solutions.This slows the rate of deforestation by reducing the dependency on fuel-wood, reduces indoor air pollution by substituting smoky wood with smokeless burning fuel, improves educational opportunities among girls and women by eliminating the need to search for wood.The cook stoves help households save fuel and thus costs on fuel. 1. Households in urban and semi urban areas in Uganda who rely on firewood and wood charcoal for cooking and heating. 2. Institutions such as schools, orphanages, government offices and prisons. 3. Businesses such as poultry farms for warming one week old chicks , restaurants and hotels.. Appropriate Energy Saving Technologies (AEST) Limited, a social business enterprise of Teso Women Development Intiaitves (TEWDI) manufactures and sells carbonised charcoal briquettes from recycled agricultural waste (groudnut husks) and improved cookstoves to households and institutions in urban and periurban areas in Uganda. How does your innovation work? The briquettes are made from recycled groundnut shells ,maize cobs ,charcoal dust etc. Our carbonised briquettes are smokeless, have a long burning and heating capacity and are far cheaper than wood charcoal. They are also are smokeless leading to reduced respiratory health problems. The charcoal briquettes are used as an alternative to wood charcoal for cooking and heating. The stoves on the other hand have improved efficiency rate as opposed to the traditional stove. The improved energy saving stoves includes a fired clay liner with metal cladding, which improves fuel efficiency, enhances combustion conditions, and ensures a better flame stability and systematic airflow. AEST’s products offer a compelling value proposition. We offer sustainable products at a lower price with superior product performance compared to alternatives in a highly scalable market. Our charcoal briquettes burn longer than alternatives. Compared to fire wood, briquettes give much higher boiler efficiency because of low moisture and higher density. They also do not smoke and they leave the saucepan clean unlike firewood which turns the outside of the saucepan black because of soot they contain. The lack of smoke produced also leads to significant health benefits for costumers. Our cooking stoves have superior performance due to insulation. The amount of fuel needed to cook is smaller due to heat being transferred to the pan more efficiently. The stoves are designed for the pan to be closer to the heat source whilst the briquettes have enough air to burn well leading to savings in fuel consumption. We are intensifying education and community awareness creation to help many people know that charcoal briquettes are a viable alternative to wood charcoal and firewood . We are expanding distribution to other districts in Uganda as part of our scaling strategy. We have branded our stoves and briquettes as “Makaa” packaging in different sizes and installed onsite testing laboratory to help us test all our briquettes and cook stoves . New Feature Briquettes which are dense,with low ash content and cookstoves which are branded .